Harry started out as a singing waiter at Restaurant Lozano years ago, but he returns each year to Sierra Madre thanks to Rotary. He performed at the inaugural ACS Relay for Life in Sierra Madre, as well. He also performed at the Citizen of the Year banquet in 1999, celebrating Judy Webb-Martin as COTY for 1998. 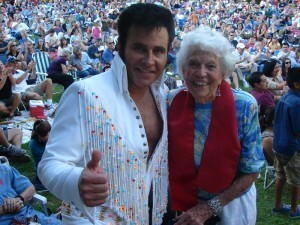 If you’d like to see photos and videos from his earlier performances, through 2009, you can view them by visiting www.SierraMadreNews.Net/Elvis. And here’s a video I put together from 2009, which includes part of his sound check with the band, his grand entrance into the park, CC Rider, I Got a Woman/Amen, and A Little Less Conversation, a Lot More Action. 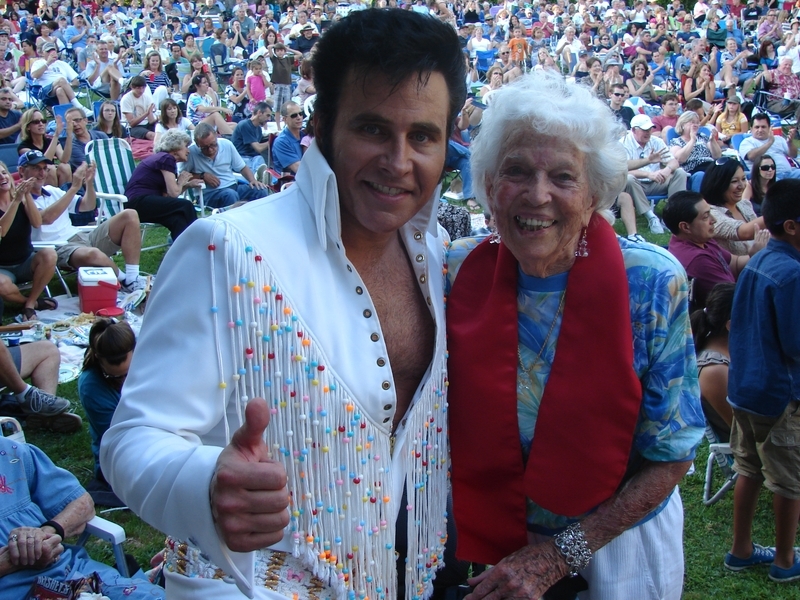 3 Comments on "Harry Shahoian Returns as Elvis Sunday Night, Sponsored by Rotary"